Nollison giveaway on Sunshine of mine! 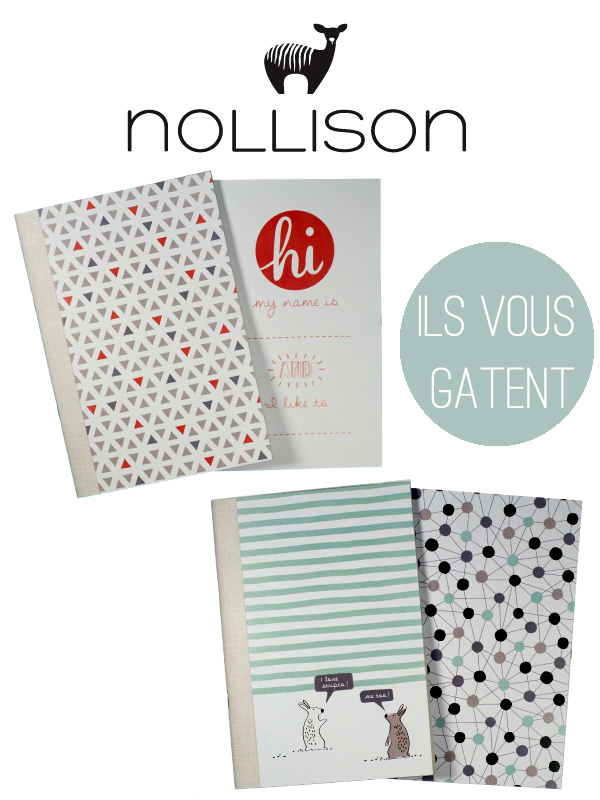 Bonjour mes amis, I'm very happy to announce that I'm giving away 2 lovely Nollison notebooks in collaboration with the lovely Anouk from the sweet French blog Sunshine of mine. I met Anouk a few months ago when my Friend Anne-Claire and I held a stall at Craft Hatch market. Anouk and I had a longish conversation about design and blogging and business and let me tell you, this young girl will go far. To get in with a chance please simply follow the instructions on the post here. Good luck!